Neil McKenzie will continue as the Proteas batting consultant for the duration of coach Russell Domingo’s contract, which expires in April 2017. Until South Africa learn how to perform under pressure, they will never win a World Cup in any format. 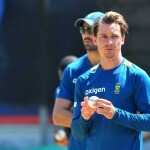 Five talking points ahead of South Africa’s dead rubber against Sri Lanka in Delhi on Monday. South Africa’s fate in the T20 World Cup is out of their control after they lost to West Indies by three wickets in Nagpur on Friday. 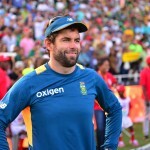 SACricketmag.com asked Dave Nosworthy, Fanie de Villiers and Lance Klusener to analyse South Africa’s first two World T20 games. What does New Zealand’s ‘upset’ victory over India in the World T20 tournament mean for South Africa? Five lessons from South Africa’s T20 series against Australia before their World T20 campaign starts next week. 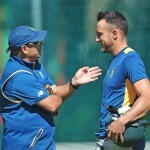 Hashim Amla’s recent performances have forced the selectors to revisit the make-up of South Africa’s batting line-up. Kobus Pretorius reflects on the players and moments that shaped the third T20I between South Africa and Australia at Newlands on Wednesday. A 79-run partnership between Steve Smith and David Warner guided Australia to a comfortable six-wicket win at Newlands to clinch the series 2-1. Kobus Pretorius reflects on the players and moments that shaped the second T20I between South Africa and Australia at the Wanderers on Sunday. David Warner and Glenn Maxwell shared a match-winning 161-run partnership as Australia levelled the series 1-1, beating South Africa by five wickets at the Wanderers on Sunday. Kobus Pretorius reflects on the players and moments that shaped the first T20I between South Africa and Australia at Kingsmead on Friday.